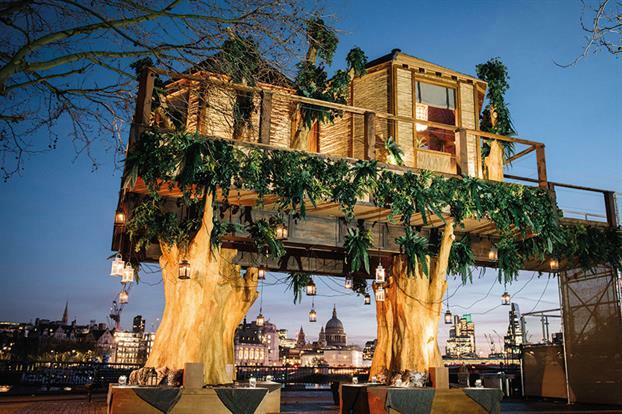 Virgin Holidays created a 35-foot-high luxury South African treehouse on London’s Southbank to promote its ‘Wonderlist’ holiday experience. The week-long installation, which was open to the public, was kitted out with tribal prints and one-off pieces of African sculpture assembled by interior designer Hubert Zandberg. Adding to its authenticity was a South African-inspired menu created by Masterchef contestant Petrus Madutlela. Taylor Herring devised one of the best New Year fitness campaigns we’ve seen for its client Kwik Fit. After research revealed Kwik Fit employees were in tremendous shape due to their daily routines, the firm teamed up with personal trainer Mikah Simpson to launch a free 30-minute fitness class to help customers lose their ‘spare tyre’. Dubbed ‘Fit Kwik’, the workout simply requires a spare tyre to help bounce those post-Christmas pounds. 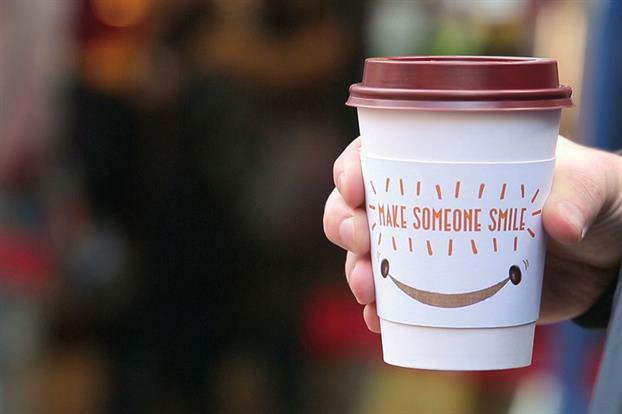 In January, Pret A Manger told its staff to help customers to ‘make someone smile’. Baristas at its 400 stores have been given 120,000 special drinks sleeves that they can give to a customer, enabling them to then pass it to a friend, colleague or a stranger who can redeem it for a free coffee or tea. Part of Pret’s ‘Random Acts of Kindness’ policy, widely publicised last year and seen as an alternative to a loyalty scheme, it positions the chain as a caring brand that empowers its staff. 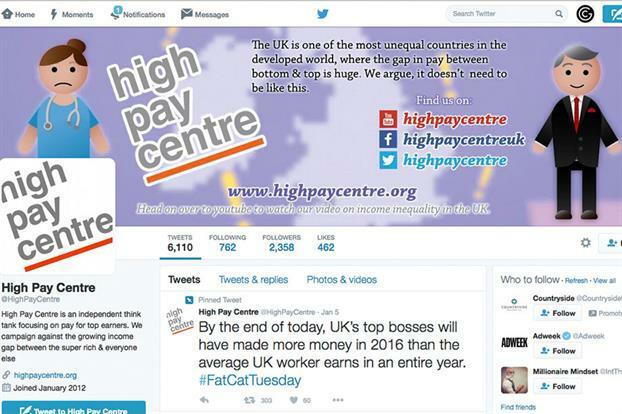 The High Pay Centre thrust the issue of pay rates for top company bosses high up the news agenda last month through its Fat Cat Tuesday campaign. The think-tank issued a press release saying that, by late afternoon on Tuesday 5 January, the average FTSE100 CEO would have made more money than the average UK worker will earn all year (£27,645). The story received coverage on BBC News, Sky News, The Times, The Daily Telegraph, the Daily Mirror, the Daily Express and elsewhere, and #FatCatTuesday was trending on Twitter on the day of the announcement. The campaign was launched to find a bone marrow donor for Lara Casalotti, a 24-year-old student, of Thai and Italian ethnicity, who needs a life-saving operation to treat leukaemia. 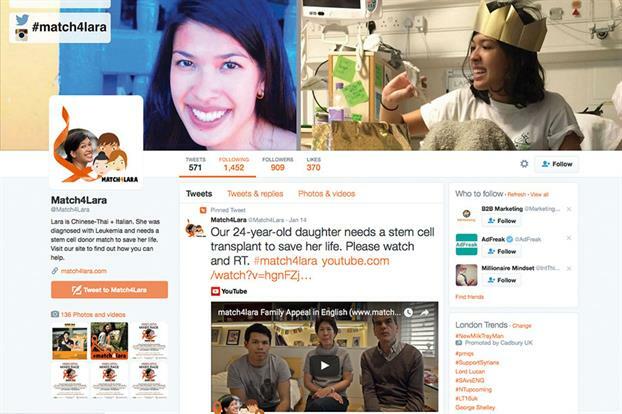 Using #Match4Lara, it attracted support from high-profile celebrities including JK Rowling, Stephen Fry and Mark Wahlberg. In the first ten days, 6,700 people signed up to the Anthony Nolan donor register, around five times the number from the same period last year, with a big spike from those of BAME backgrounds. In a positive end to the story, Lara also found a suitable match.